I really, really enjoyed this! The artwork is beautiful, and the story was captivating. Full review to come. I think this is going to be a thing. A solid, self contained fantasy story about changelings, fairies, an underground kingdom and an evil sorceress. The strength in this is the integration of ideas and concepts found in LGBTQ stories like coming out and chosen families. Hoping that Aldridge moves to more overt queer representation in later books. An excellent story about families, friends, and magic with great illustrations. With changelings and fairies, it would be a great choice for someone interested in the themes of Holly Black's work who isn't quite ready for the violence and more mature elements of those stories. 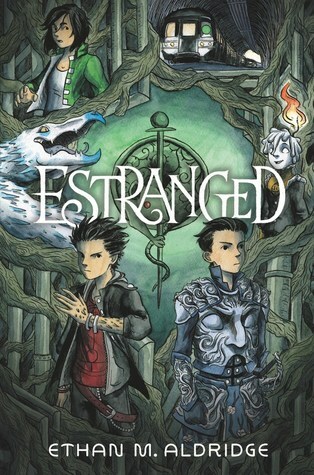 Such a great little changeling story with awesome artwork. Can't wait to see the story in full color! Definitely recommended! I read the ARC so I'm hoping some of the dialogue and scene changes will be smoother in the final edition.